The relationship between candidate and recruiter is not simple. Most legal search firm web sites would lead an individual attorney to believe that the recruiter works for you. Indeed, in the world of law firm placement, the “marketable” candidate is king (or queen). This is because almost every law firm will gladly accept a good resume from any recruiter. 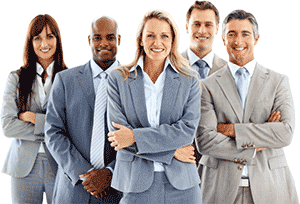 Therefore, a law firm candidate can use a recruiter to do the leg work and selectively explore law firm options. However, candidates contact Evers Legal based on our well earned reputation for getting quality in-house law department assignments. We encourage such inquiries, and we obviously want to learn more about you. When we begin a new search for a corporate client, we do start by reviewing resumes on hand. So sending a resume to us confidentially is the best way to make sure you are considered on a go forward basis. Some candidates are displeased to learn that we do not “shop” resumes to existing or potential corporate clients. We take a completely client driven approach to law department placement. Our job is to screen candidates and provide those who, in our judgment, offer the best match for specific openings. Therefore, when considering a move in-house, you cannot rely on us – or any other search firm – to explore all options for you. Most in-house search assignments are handled exclusively, so no one search firm can possibly offer a complete window into the market. Here is what we do offer to candidates who wish to explore in-house opportunities. We offer a candid and respectful analysis of your experience profile. We will always return your calls and try to answer your questions. We will never send your resume anywhere without first discussing an opening and receiving your permission to proceed. And if you do become an active candidate who interviews with one of our corporate clients, we will invest quality time to help you prepare for that opportunity. We invite you to please send your resume. Submit your resume to Evers Legal for confidential consideration. Interested in exploring your career options? Send your resume to Evers Legal Search for confidential consideration.